The four Nell stories that marveled readers at Scribd.com are put together here for the first time in this collection, which also includes an all-new story, "Birdman and the Fairy Tale." 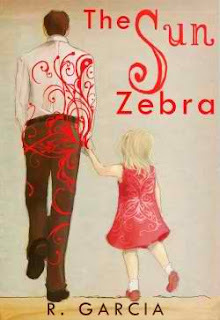 This collection of four stories are written from a father's perspective about his imaginative daughter, Nell. I found each story to be delightful and well-written! Each story was different and offered a unique perspective from a child's view and how she saw the world. I looked forward to each new story and I was not disappointed! These stories captivated my heart and my attention. It was a refreshing read for me and when I was finished I felt satisfied and happy! Mr. Garcia has a jewel on his hands and I am glad that I had the opportunity to view the world, for a small amount of time, through Nell's eyes. I will be on the look-out for my own sun zebra! Five stars! You can pick up this book on Amazon. 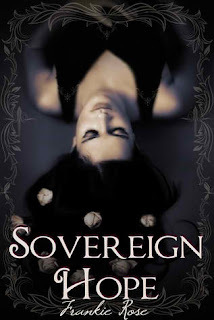 Sovereign Hope came out just over two weeks ago and I’m still reeling! All of the support sent to me via email, in person and online has been mind boggling, so a huge thank to you all! I’ve been rushed off my feet with the release, but now that things are calming down slightly, I wanted to share the new book trailer for those who haven’t had chance to check it out yet. I made the first trailer back in May, and it was so much fun I really had to force myself to concentrate on my writing and not on making videos all day! I’ve always loved book trailers; I know that some of them are questionable to say the least, but the good ones are so worth the all the bad ones. If anybody has seen an awesome trailer recently, please post and tell us about it! As part of Sovereign Hope’s release, myself and a crack team of Daniel lovers are on the hunt to discover the person who will grace the cover of Eternal Hope, the second installment to The Hope Series. If, after reading Sovereign Hope, anyone has a blinding flash of inspiration and instantly knows the perfect guy for the gig, please, let me know!!! You can check out the already amazing suggestions on my website, by hitting the button below!! 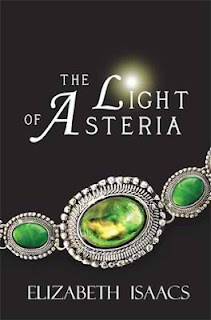 Elizabeth Isaacs, Author of The Kailmeyra Series, is hosting a giveaway!!! 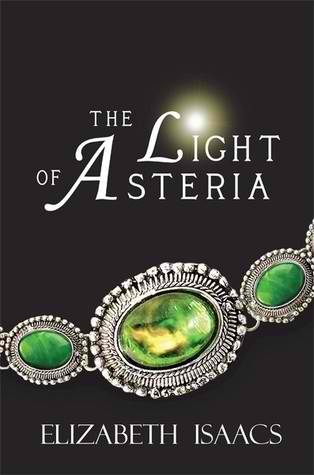 So all of you know how much I LOVE The Kailmeyra Series by Elizabeth Isaacs! Right now if you like her author page on Facebook you will be entered to win a signed paperback copy of both of her books! Don't miss this awesome opportunity! I am hoping that I will win...what about you? Here is the link, just click, sign in and hit "like" on her page, it's simple! On the afternoon of her father's burial, nineteen-year-old Talisa Tova is expelled from her home by her stepmother. With secret preparations made ahead of time by her father and the emotional support of her stepbrother, Talisa moves on and shapes a life for herself. But her bruised heart is trapped in self-preservation mode, and though she still dreams of one day opening it to someone, her partial deafness convinces her to accept a life without love. All of this changes when free-spirited Dylan Thomas enters her life. Dylan Thomas owns the heart of a poet, a trait inherited from his parents, both of whom idolize the works of Dylan Thomas, Lord Byron and Yeats. Having gone through a nasty divorce two years ago, Dylan thought his heart would be closed forever. But that was before his friend introduced him to his sister. 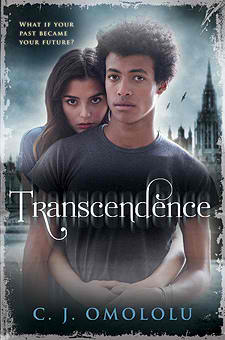 The moment Dylan meets Talisa, she claims his heart and his life is changed forever. Talisa and Dylan still carry hurts that cut deep. Will love give them the strength to heal each other? I happen to LOVE fairytale re-tellings! This is a re-telling of Cinderella and I thought it was a beautiful story! Talisa is a likeable character with a unique set of circumstances. Dylan is a sweet man who thinks Talisa may be the one to heal his heart. Can true love really be found so quickly? Will Talisa and Dylan trust each other enough to find out? Jewel Adams can always be counted on for a wonderful sweet romance full of emotion! I love her novelettes and this one did not disappoint! If you are looking for a quick read that still has substance to the story, this book is for you! Five stars for The Sound of Love! You can pick this book up at Amazon. I read through some of my blog comments and noticed that I had been tagged for the Liebster Blog award. I was so excited, this is my first blog award! The Liebster Blog award changes and participation is completely voluntary. The blogs that are tagged answer around 10 questions from the tagger and then they tag other blogs for the award. It is a lot of fun and here are the questions that I was asked! This one is a tough one for me! When I was a child it was The Little Princess. Now I would have to say The Tiger Curse Series by Colleen Houck is my favorite, specifically the first book, Tiger's Curse. I think they did an excellent job on The Hunger Games. 3. Have you ever started or completed writing a book? 4. If you could date any book character who would it be and why? Well since I am married I would say no one, lol! 5. Favorite book love triangle? I actually hate love triangles, even though some of my favorite books have them! If I had to pick it would be Edward, Jacob and Bella. I choose them because I like how it all turned out! 6. What is your must have pizza topping? Winter! I love to wear warm clothes and snuggle under a blanket with a good book! 8. Who is your favorite Disney princess and why? I am a Disney fanatic! My favorite princess of all-time is Cinderella! I love the story of how she had a good attitude in the face of adversity and won the prince in the end! 9. YA romance or Adult romance books? YA romance, I don't like to read about any private details in the bedroom. 10. How many books were in your biggest book buying binge? I couldn't say for sure....if I had to guess, it would be ten. 1. How many books do you read in a week? 3. Physical book or ebook? 6. The one book you would recommend to anyone. 7. When do you read? 8. Do you prefer stand alone books or series? 9. What is your favorite Disney movie of all-time? 10. Do you loan your books? Thank you and remember that your participation is completely voluntary! Another free novelette today, only, July 24th! 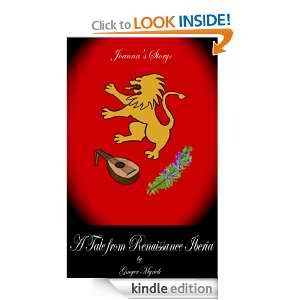 This is a novelette extracted from the full-length work, El Rey: A Novel of Renaissance Iberia - Complete. It is approximately 13,000 words. In 15th century Iberia, war and plague abounded and everyday life was a precarious existence. Even nobles who enjoyed a privileged living could suffer a reversal of fortunes overnight. Joanna’s Story is the heroic and heartbreaking tale of one woman’s devastation and the fight to recover her faith. You can pick this up at Amazon. Free Novelette Today, Monday July 23rd on Kindle! This is a novelette extracted from the full-length work, El Rey: A Novel of Renaissance Iberia - Complete. It is approximately 9500 words. The pilgrimage to Santiago de Compostela has held enormous significance to Christians throughout history, never more so than during the Late Middle Ages. Penitents traveled there to atone for their sins and receive absolution. Paulina’s Story is the tale of one woman who made the journey seeking answers and found comfort for her battered spirit from an unexpected source. You can pick this up here via Amazon. Free-spirited Capri Harris has always embraced life to the fullest, but a major health trial brings unexpected changes and her outlook shifts, leaving her with doubts of her worth to any man. Like the force of a hurricane, Jagger Colby enters Capri's life, weakening her resolve and shaking the walls of self-preservation she has tried so hard to build around her heart. But Capri knows that once Jagger discovers the truth about her, he will walk away and never look back. This novelette by Jewel Adams is a wonderful and heart-warming read! I was drawn into Capri's story right from the first page. My heart hurt for her when she found out she would never be able to bear her own children. Capri's story is full of emotion, heart-wrenching loss, and trying to find the strength and courage to learn to love! Will Capri risk her heart and will someone love her as she is? Find out and take a journey with Capri! Five stars for an excellent read! You can pick up this novelette at Amazon and Barnes and Noble. This book has been on my Want-To-Read List for awhile, so I was very excited to have the opportunity to read and review this book! Frost is a dystopian, fantasy, romance novel. I loved every minute of it! Kate Avery Ellison has a way of writing a book that draws you in from the first page and holds your attention through to the end of the book. 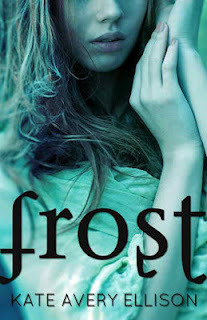 I felt like reading Frost was effortless and went by very quickly! I loved Lia and her strength and love of her family. She had courage and bravery to face frightening situations so she could protect and care for her family. She began to evolve in her opinions and emotions as the book progressed and I liked this, as most humans change due to time and circumstances. The description of the Frost was perfect, at times I almost felt cold while I was reading! The ending is open for another book and I look forward to reading it! Frost is a four and a half star book for me! You can pick up this book at amazon or barnes and noble. My first impressions of Burn Mark were a bit disturbing. I wasn't a fan of the descriptions of witches being burned alive at the stake. However, I am very sensitive to these types of descriptions, so for others, this may not be an issue. Also, once I got through the couple of descriptions there were not any more, so I was fine. I really liked the characters of Glory and Lucas. They were from two completely differently lifestyles and two different family types. Lucas was from twelve generations of Inquisitors (people who work for the government finding witches who have committed crimes), and Glory was from a long line of Fae, or witches. The society they lived in tried to juggle with how accepting they were of witches. Witches had to be registered and "bridled" with iron to stop them from using their powers. Otherwise they had to be working in a type of government position that allowed them to use their powers, while under supervision. You can pick this book up via amazon and Barnes and Noble. Winners of the Summer Reads Giveaway Hop! Congratulations!!! The winners have been notified! Intangible by J. Meyers!!! Pick up your copy today, for some fun Friday the 13th reading! For those of you who haven't had the opportunity to read Intangible by J. Meyers, then today is your day! I think Friday the 13th is a great day to sit down and read a great book! It can be a lucky-read-as-long-as-you-want-to day! So why not try Intangible? I personally LOVED this book! You can check out my review here. I am trying to help J. get the word out about her awesome book! So head over to amazon or Barnes and Noble to pick up your Kindle or Nook copy today! Please do it today, I am in a contest to see if I can get 10 people to buy her book today only! I promise you will love this book if you like fantasy, paranormal, YA, and action! Thank you so much and Happy Reading!!! Free Clean Romace Novella on Kindle!!! This is a sweet romance novella. Nicholas Wiseman, son and soldier, has a plan for his life...until tragedy strikes. Ellie Pickett, daughter and college graduate, has a goal...yet returns home. This novella sounds great, pick it up while it's free!!! I love free books! 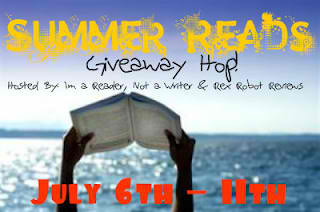 I would like to thank I Am A Reader Not A Writer and Rex Robot Reviews for hosting this awesome giveaway hop! Up for grabs are THREE paperback copies of Chosen: Dark Passage by M. L. Woolley! Thank you Ms. Woolley for the generous donation! If you have not read this book, it is an awesome read! It is a paranormal romance story! You can check out my review of it here. Ms. Woolley had a new cover commissioned for her book. The book you will receive has the original cover (above) but if you purchase the book now, it will have this new cover (below). So on to the giveaway! To enter is simple! 1) Become a follower of my blog through GFC, old and new followers are welcome! This is mandatory to enter! 2) Leave me a comment with you GFC name and an email address where I can contact you if you win. Three lucky winners will be chosen and emailed when the hop is over. *** If you do not respond to my email with your physical address for shipping within 48 hours, a new winner will be drawn. *** THIS IS OPEN TO U.S. RESIDENTS ONLY!!! Sorry, the cost of shipping is too great for international! Thank you for stopping by and happy hopping to these other blogs for more great giveaways! 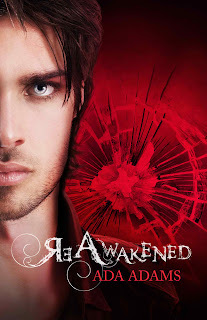 Cover Reveal for ReAwakened and Giveaway by Ada Adams! I am so excited to be a part of the cover reveal for ReAwakened! Thank you Ada, for this opportunity! 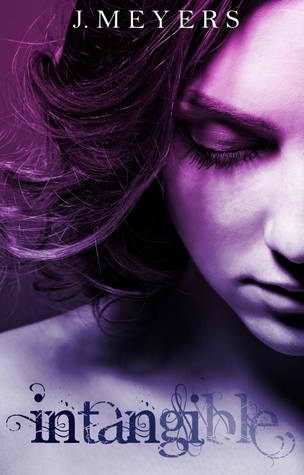 Without further ado, the cover for ReAwakened, by Ada Adams! You can join Ada Adams for a live Tweet-chat, today, July 5th, at 5 pm EST. You can join her at #ReVampedChat on twitter! This is an exciting opportunity to learn more about the author, her series of books, and what inspires her, so be sure you don't miss it! YOU NOW HAVE A CHANCE TO WIN A SIGNED ARC COPY OF REAWAKENED!!! Thank you for stopping by! If you leave a comment with your email address, you will be entered for a chance to win a signed ARC copy of ReAwakened, so please, tell me what you think of this great series! I hope your day is great and Happy Reading!!! I had the opportunity to read this book as an e-ARC. There were a lot of things that I liked about Transcendence. I really liked the main characters Cole (Nicole) and Griffon; they weren't your typical boy and girl and neither was their relationship. There was enough mystery surrounding Griffon to keep things interesting and Cole was pretty down-to-earth for a cello prodigy. I loved how the book kept me wanting to read more! If a book can capture my interest right away, that is always a huge plus! I also enjoyed how things began to connect towards the end of the story. There are a couple of things to be aware of if you are a parent of a teenager reading this book. There is a scene where the main characters who are high school students, drink alcohol like it is no big deal. This book also contains profanity. Overall, this is a good read and held my interest all the way through. It is the first in a series and has an interesting idea about reincarnation. I will definitely be reading the next book! I give Transcendence three and a half stars out of five. You can pick up the book on barnes and noble here. To find out more about the author, C.J. Omololu, you can check out her website here. Released Today, Sovereign Hope by Frances Rose!!! Sovereign Hope is an awesome read, and has just been released today, July 1st! Be one of the first to read it! Sovereign Hope grabbed my attention from page one! I really couldn't stop reading it or thinking about it! Frances Rose has created a unique world for her characters and it was a nice change. Everything about this book is so different and unpredictable, it was a breath of literary fresh air! The characters were realistic, interesting and well-developed. Farley and Daniel were stellar main characters and they were so interesting to read about! Sovereign Hope is compelling, full of action, intrigue, and some romance too! 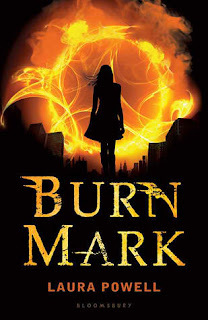 A great new YA Fantasy novel, this is a must for your summer to-read list! 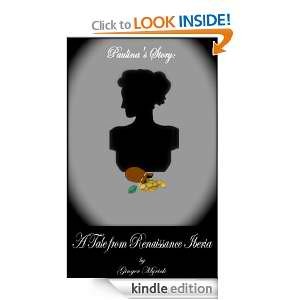 Five stars for a wonderful read, I look forward to reading more from Frances Rose! You can pick this book up at amazon or barnes and noble. Be a part of the campaign to find the perfect model to pose as Daniel for the second book, Eternal Hope! Be a part of this amazing campaign to help create the cover for book two!